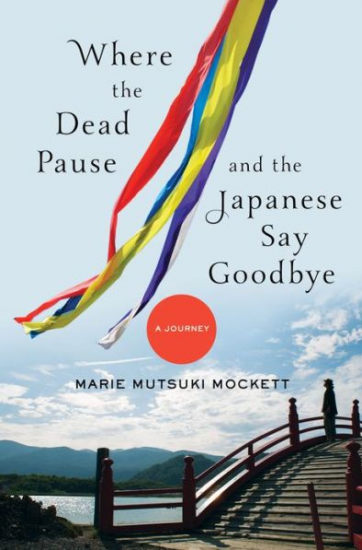 PASADENA — Marie Matsuki Mockett will discuss and sign her new book, “Where the Dead Pause, and the Japanese Say Goodbye: A Journey,” on Thursday, Jan. 22, at 7 p.m. at Vroman’s Bookstore, 695 E. Colorado Blvd. in Pasadena. Mockett’s family owns a Buddhist temple 25 miles from the Fukushima Daiichi nuclear power plant. In March 2011, after the earthquake and tsunami, Japan mourned thousands of people lost in the disaster. Mockett also grieved for her American father, who had died unexpectedly. Seeking consolation, Mockett is guided by a colorful cast of Zen priests and ordinary Japanese who perform rituals that disturb, haunt, and finally uplift her. Her journey leads her across this exotic yet familiar land into the radiation zone in an intricate white hazmat suit, to Eiheiji, a school for Zen Buddhist monks; on a visit to a Crab Lady and Fuzzy-Headed Priest’s temple on Mount Doom; and into the “thick dark” of the subterranean labyrinth under Kiyomizu Temple, among other twists and turns. From the ecstasy of a cherry blossom festival in the radiation zone to the ghosts inhabiting chopsticks, Mockett writes of both the earthly and the sublime with sensitivity and an unpretentious and engaging voice. Born and raised in California to a Japanese mother and American father, Mockett graduated from Columbia University with a degree in East Asian languages and civilizations. Her first novel, “Picking Bones from Ash,” was shortlisted for the Saroyan International Prize for Writing, and was a finalist for the Paterson Prize. She has written for The New York Times, Salon, National Geographic, Glamour, and other publications and has been a guest on “Talk of the Nation” and “All Things Considered” on NPR. In 2013, Mockett was awarded a fellowship by the NEA and Japan-U.S. Friendship Commission, which enabled her to live in Japan. While there, she was featured in the NHK documentary “Venerating the Departed,” which was broadcast internationally several times. She lives in San Francisco with her husband and son. For more information on the bookstore, call (626) 449-5320 or visit http://vromansbookstore.com. For information on the author, visit www.mariemockett.com.